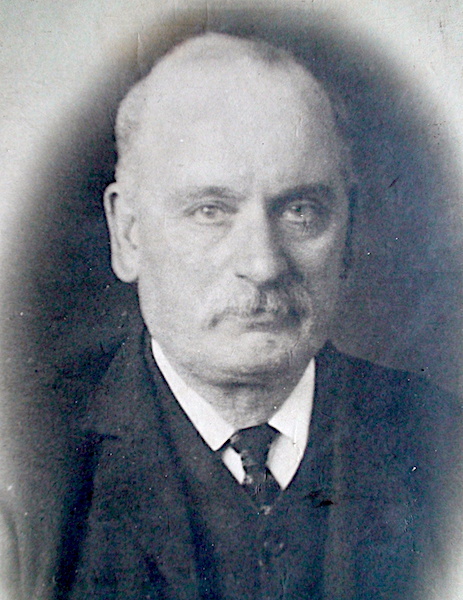 One of the pioneers of the Labour Party in Oulton-with-Woodlesford was Thomas Henry Killingbeck. A quarryman then a pit top labourer, from his teenage years he was a lifelong campaigner to improve both the living and working conditions of those around him. Active in the co-operative movement from 1902 he became a local councillor in 1919 and he was chosen as the first chairman of the enlarged Rothwell Urban District Council in 1937. With his wife, Sarah Jane, he brought up a large family in a small cottage on Church Street in Woodlesford. Thomas Henry Killingbeck in 1937 when he was chairman of the Rothwell council. The Killingbeck name in the area goes back centuries, especially in Methley, but Tom’s paternal ancestry is hard to establish with any certainty as his father, Benjamin, was either an orphan or “born out of wedlock,” neither scenario being uncommon in the mid-19th century. In the 1851 census baby Benjamin was listed as a “child to nurse” in the Oulton home of 58 year old widow Hannah Mirfin. She made money delivering letters for the village post office to support her youngest daughter and her widowed older sister. They lived on Quarry Hill where her husband, William, had been a stone mason nearby until his death a few years earlier. Benjamin had been baptised at Rothwell church in December 1848 and given the middle name Ingleby. No father is listed in the register, only a mother with the name Susannah from Woodlesford. The way the entry was made suggests she was unmarried and called Sussanah Killingbeck. Another possibility though is that Sussanah was one of Hannah’s daughters. She may have married a Killingbeck and died or moved away shortly after Benjamin was baptised and his father may also have died. Indeed Sussanah may have died giving birth. On the other hand Benjamin may not have been related to the Mirfin family at all and was an orphan who Hannah had adopted, perhaps earning some extra money for his upkeep from the parish authorities. Ten years later Benjamin was still living with Hannah but the head of the household was mason William Abbey, 38. He had married her daughter, Frances, in 1846, and by 1861 they had four children. Benjamin was 12 years old and was recorded as a “boarder.” This still gives no clue as to his parents. He continued to live with the Abbeys and in 1871 was with them in a new house on Temperance Terrace, now part of Claremont Street, which may have been built by William Abbey. He ran his own business and was listed in the census and trade directories as a stone merchant with a lease on one of the local quarries. Benjamin became a stone mason and had probably served an apprenticeship under his supervision. Thomas Killingbeck’s mother, Elizabeth Ann, seems to have come from a much poorer and more deprived background. She was born in 1854, the illegitimate daughter of laundress Maria Coxon whose father had run a pub. In 1861 Maria was still unmarried and had a son and two more daughters. They lived in a court, or tenement, next to the Duke of William pub off Bowman Lane between Tetley’s brewery and the River Aire in Hunslet, not an attractive part of the inner city. Benjamin Killingbeck married Elizabeth Ann in Hunslet in 1873 and took her to live on Temperance Terrace. By 1881 they had three children, Fred, 6, Hannah Maria, 4, and Walter, 2. One story, illustrating the poverty of the times, may have been passed down to them, and Thomas, who was born just after the census in April 1881. It involved their uncle, Elizabeth Ann’s younger brother, James Tyler Coxon. He had stayed with the Killingbeck’s one night in June 1876 but after Benjamin had gone to work the next morning he went into the bedroom and stole his watch. James took it to Leeds where he pawned it at a shop on Briggate. The police were told but didn’t find the suspect until over a year later, in September 1877, when he was staying at a “model” lodging house in Wakefield. In court he pleaded guilty and was given a five month prison sentence. When he was 9 years old in 1869 James had been sent for 5 years to a reformatory school in Shadwell because his mother couldn’t handle him. Whether Thomas Killingbeck drew on any of this this in his future political career isn’t known but it may have been an illustration he used in campaigns for social reforms. Thomas Killingbeck grew up in the semi-rural surroundings of Oulton and Woodlesford where green fields and open spaces weren’t far away. He was baptised at Oulton St John’s church although he later attended local Methodist chapels. At Oulton school he was called Tom and was top of his class in Sunday school there in 1892. He was taught by the energetic headmaster, Ernest Boothroyd. Although he was active in village affairs and a parish councillor Boothroyd doesn’t appear to have had any socialist leanings and put most of of his energy into football and cricket. 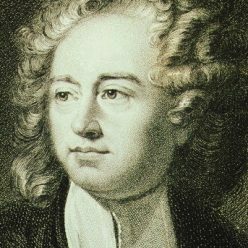 As Thomas didn’t leave behind any memoirs it’s hard to determine precisely what the early political influences on him may have been. Most probably he acquired his brand of socialism through sermons at chapel, by reading, by word of mouth and by what he witnessed with his own eyes. As a boy during the 1880s he would have been aware of the low income and poor living conditions in the local working class quarrying and coal mining community. Other countries had started to compete with Britain in industries like cotton and engineering and a long depression had started in the 1870s which lasted until Tom was about 8 years old. Prices and profits for manufacturers were low and consequently they cut wages for their workers. At the end of 1888 there was some respite as a trade boom started and wages began to rise. Over the next two years the miners, for instance, won an increase of 40 per cent, but then came the inevitable slump and by 1893, as the price of coal on the open market fell, the owners demanded a cut in wages. Miners were paid by the ton according to price lists, complex agreements at each pit which depended on conditions in the coal seams. When they were earning more than enough to live on many men were accustomed to “playing” and taking days off during the working week, but this new demand for a cut in their pay was seen as an attack on their living standards and they voted by a large majority against any cuts. With a considerable amount of capital invested the owners wanted the workforce to shoulder some of the burden of lower market prices by reducing the 1890 increase to only 15 per cent above the 1888 level. The miners accused them of only being interested in making high profits and after negotiations with the Miners Federation of Great Britain broke down a four month “lock-out” started at the end of July. Many other industries, like iron and steel, depended on coal and the resulting shortage meant that an estimated million workers nationwide were temporarily laid off. The most significant incident Tom Killingbeck would have heard about during the lock-out was the “Featherstone Massacre” when two men were killed on 7 September 1893 by soldiers firing into a crowd at Ackton Hall pit after strikers attempted to stop coal being loaded. By this time Tom was 12 years old. Having recently left school the strike and its effects would have been a key period in formulating his political views. Apart from his older sister who was a servant for a butcher in Hunslet, his family, including his two brothers and a younger sister, were still living on Temperance Terrace. Just across Midland Street from them were the eight rows of houses of New Woodlesford where many miners and their families lived. His father may have been employed by John and David Matthews who owned one of the deep quarries adjacent to Aberford Road. They used steam powered water pumps and cranes and had to stop work in September because of the shortage of coal to feed the boilers. Benjamin Killingbeck may therefore have lost his income for several weeks with the family having to rely on their savings or the wages of Tom’s brother, Fred, who had become a clerk at Bentley’s brewery. They possibly had to go cap in hand to the Hunslet Board of Guardians for a handout known as outdoor poor relief. If they didn’t quite reach that stage Tom would have certainly been aware of the efforts being made locally to feed the children of mining families. Initially, in August, the men in the Yorkshire Miners’ Association had drawn strike pay, but that was depleted within a few weeks. In Woodlesford a fund for feeding the children of non-union men was opened at the start of September and about 25 to 30 families were given weekly grocery orders varying between 2s 6d and 4s depending on the number of mouths they had to feed. The Rothwell Times reported on Friday 6 October that “a generous response” had been given to an appeal for financial support from a relief committee led by the vicar, Arthur Irvin. “It is, however, greatly to be feared that now the union funds are exhausted, it will be impossible to meet all the claims that will be made upon the fund, unless a second appeal can be made to the public,” said the paper. Using religious references typical of the period it went on: “Much private relief has been given at the various houses in the form of soup, meat, flour, bread, money and meals to children, and the ladies of Woodlesford, with that true spirit of Christian sympathy with those in distress, which always abounds in the hearts of the women of England, have formed themselves into a strong organisation for the special purpose of providing meals at the Board School for the children of those who are not at work.” The first “soup dinner” for about 200 children was given on Thursday 28 September and 380 had breakfast the following Sunday morning. In subsequent weeks meals were provided at the brewery. In Oulton the school log book records that on 22 September twelve children left early to be given tea at the parsonage. They were sons and daughters of miners and quarrymen out of work “in consequence of the strike.” A soup kitchen paid for by “the gentry” operated at Oulton House from the first week of October and there were similar efforts in Methley, Rothwell, Stourton and Lofthouse. A campaign was mounted by striking miners against the monopoly Rothwell Gas Company which had imported “blackleg” coal from out of the area. Householders were encouraged to turn off their gas and use candles instead. Shopkeepers were threatened with a boycott if they didn’t do likewise. After the government intervened in an industrial dispute for the first time the strike ended in November. The miners thought they’d won as their pay was guaranteed at the pre-strike level but after a few months it was cut by ten per cent by a newly established conciliation board. The owners wanted a further cut of ten per cent three years later and the board collapsed. It was towards the end of the 1893 “coal crisis” that a local branch of the Independent Labour Party was formed in Rothwell. The party had come about a couple of years earlier and just a few miles away after a similar strike by woollen workers at Manningham Mills over a cut in their pay. It led to the formation of the Bradford Labour Union in 1891. The mill workers too had had achieved little despite striking for 19 weeks and they recognised they needed an independent political organisation to fight for their interests against the established Tory and Liberal parties which controlled the council and the courts. A year later the name was changed to the Bradford Independent Labour Party. Other locally based parties quickly followed, especially in the textile towns, then in January 1893 the national Independent Labour Party (ILP) was formed at a conference in Bradford. It elected as its chairman the Scottish trade union leader Keir Hardie who’d become an MP at West Ham in London in 1892. Many of its policies like free education and medical treatment, public housing and welfare for widows, orphans, the sick and disabled, as well as an eight hour working day and the abolition of child labour, we take for granted today but they took decades to be accepted and legislated for. One of the founders of the Rothwell branch of the ILP was William Lunn, a 21 year old pugnacious pitman who’d started a long trade union and political career at the age of 16 when he organised a strike of young underground pony drivers at the Charlesworth pits in Rothwell. After being victimised he moved to Middleton colliery and would go on to become a councillor in Rothwell in 1899 before he was elected the area’s first Labour MP after the First World War. No membership records or minutes of the Rothwell ILP proceedings have survived but it’s believed Tom Killingbeck joined as a young man in about 1896 and he later presided over meetings and lectures. He knew Willie Lunn as a fellow member of the temperance movement from more than five years earlier. During the second half of the 1890s the socialist ideas of the ILP were frowned on by the majority of established trade unionists including those who led the Yorkshire Miners’ Association. They allied themselves with the Liberal Party and several were elected as Lib-Lab MPs including Kippax born Ben Pickard who from 1885 to 1904 represented the Normanton constituency, including Oulton, Woodlesford and Rothwell. Tom Killingbeck, at the age of 14, may have been in the audience when he was given a hard time by ILP members at a lively election hustings at the Mechanics’ Hall in Rothwell during the parliamentary campaign in July 1895. This new body was known as the Labour Representation Committee. It had a federal structure of affiliated unions and societies without individual membership and its first secretary was Ramsey Macdonald. Only two candidates were successful in the October 1900 election, Keir Hardie in South Wales and Richard Bell in Derby. In 1903 Macdonald arranged a secret pact with the Liberal chief whip, Herbert Gladstone, aimed to avoid splitting opposition to the Tory government at the next election which came in 1906. As a result the Liberals won a thumping majority and the 29 Labour members decided to call themselves the Labour Party. During the next few years the Chancellor, Lloyd George, introduced many social reforms backed by Labour and they increased their numbers to 42 in 1910. Eventually local branches of the party were established and individual membership became possible from 1917 with organisations like the ILP becoming less important. The lack of any detailed evidence showing what Thomas Killingbeck may have been involved in politically during this period makes it difficult to assess accurately what his precise beliefs and leanings were. From letters he later wrote to newspapers and brief obituaries it appears he was more interested in social and welfare reform in the wider community than in trade union action at his workplace. 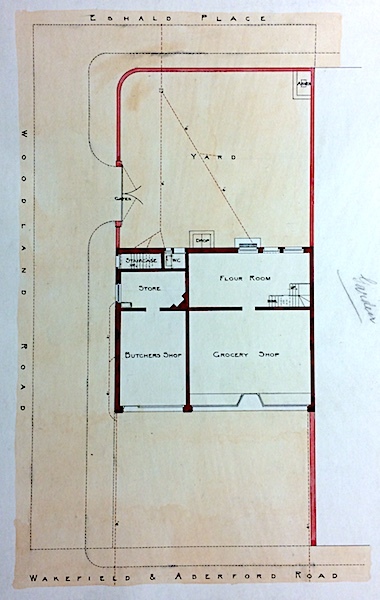 A plan of the original Woodlesford co-op shops opened in 1900. In 1902, at the age of 20, he joined the local branch of the Leeds Industrial Co-operative Society two years after they opened a butcher’s shop and a separate grocery store on Aberford Road in Woodlesford. It was reported that he never missed attending regular ward and half-yearly meetings and was a member of the local committee for 25 years. From newspaper reports and the way he signed letters it seems he preferred to be known as Thomas, or T.H. Killingbeck, rather than the less formal Tom. His mother died in 1898 prompting his older sister to move back home to look after her father and their sister Amy who was still at school when the census was taken in 1901. Their brothers had left home by then. Thomas was listed as a quarryman suggesting he was just a labourer and wasn’t serving a full apprenticeship as a mason with his father or someone else. The next few years appear to have been taken up by the more enjoyable business of courtship rather than politics and in the first three months of 1905 Tom married Sarah Jane Pickersgill. Born in 1880 she was a little older than him, the eldest daughter of miner George Pickersgill. Sarah Jane was pregnant and their first son, Cyril Benjamin Killingbeck, was born on 4 June 1905. He was baptised at the Wesleyan chapel in Oulton. Thomas Killingbeck is on the far left. The photo was taken just after the end of the First World War in 1918 or 1919. Thomas’s brother-in-law William Pickersgill, who worked at Woodlesford co-op, is standing next to him. Just over a year later Benjamin Killingbeck died and by the time of the 1911 census Thomas and Sarah Jane were living at 32 Church Street in Woodlesford in a terraced house on the site of what is now Woodlesford Green. Her parents, along with three younger brothers and two sisters, lived at No 36, known as Rose Cottage. Sarah Jane’s father had a few years earlier been active in local politics and was described as the “miners’ representative when he was elected in 1902 to the Oulton-with-Woodlesford school board. In the 1911 census he was listed as an invalid, probably after he’d been involved in a pit accident. The census recorded that Sarah Jane’s parents had been married 32 years and during that time her mother had given birth to 17 children. Eight survived, nine had died. Between 32 and 36 Church Street was Albert House, occupied at that time by colliery manager Dennis Walter Hargreaves. Not long afterwards the Killingbecks moved to 38 Church Street, next to Sarah Jane’s parents, a house they would occupy for the rest of their lives. Both houses are still standing opposite the Beechwood shops today. By 1911 Ben had two younger brothers, George Henry, born in 1909 and Ivor in 1910. Crammed in with them was their uncle Walter. He was a labourer at a coal staithe, probably the one at Swillington Bridge on the Aire and Calder Navigation. They also squeezed in a lodger who would have helped with a contribution to the rent. He was Sarah Jane’s uncle, James Flockton, a 56 year old road labourer for the council. Amy Killingbeck had gone to work as a servant at the Armley Hall vicarage for the Reverend Harry Roper who was later recognised for his pastoral work in three of the poorest parishes in Leeds. George Pickersgill. Listed as an invalid in the 1911 census by 1914, when his son William married, he had recovered enough to take employment as a market gardener in the Woodlesford rhubarb fields. The 1911 census gave Thomas’s occupation as a “stone quarry labourer” confirming his unskilled status. It’s more than likely he was employed at Armitage’s quarry as most of the other smaller quarries had been worked out by then. Over the next 12 years he and Sarah Jane had five more children starting with Edna in 1913, followed by Bessie (1915), Harold (1918), Eric (1920), and Harry (1923). Although he didn’t stand in any public elections whilst he had a young family Thomas appears to have continued with his membership of the Independent Labour Party. It’s socialist policies received little coverage in the pages of the Rothwell Times, perhaps unsurprising given that the editor, Andrew Marshall, was employed as a rate collector by the council which was controlled by men like quarry owner George Armitage and members of the Conservative supporting Hargreaves family. In an election for the South Ward in Rothwell in April 1909 Willie Lunn beat off a challenge from colliery proprietor Walter Hargreaves who employed many of the voters at Spencer Pit near Royds Green which he co-owned. Lunn won by 268 votes to 227, a majority of 41 of the largely male electorate with only a limited number of women being allowed to vote. This was seen as a great victory and highlighted in the ILP’s annual report written by the party’s local secretary, Wright Stead, a miner who had served as a soldier in South Africa thirty years earlier. The report was published by the Rothwell Times in April 1910. 42 indoor and outdoor meetings had been held and they should give themselves “a hearty handshake upon the great success” they had achieved during the year. The highlights included two “successful propaganda meetings” where the audience was entertained by the Leeds Clarion Choir. Speaking at the first was the Scottish miners’ leader, Robert Smillie, and at the second Edna Penny from Sheffield, one of the founders of the Women’s Labour League. Many ILP publications had been sold and members were encouraged to use them as their Christmas cards. To raise funds a “tea agency” had been set up and was doing “fairly well.” Wright himself was one of two candidates elected that year to the Hunslet Board of Guardians where they proved a thorn in the side of the established members and started to challenge the repressive nature of the workhouse system. It was during the following year that Thomas Henry Killingbeck’s name began to be reported in connection with the ILP. He must have been well respected by then as he was chosen to preside over at least two lectures at the Temperance Hall in Rothwell. The first, on a Saturday night in January, was by Willie Lunn in connection with the National Committee for the Break Up of the Poor Law. This had been set up following a four year long Royal Commission concluding in 1909 with the publication of two opposing reports, the most significant being the Minority Report by the Fabian socialists, Sydney and Beatrice Webb. Illustrated by 55 “beautiful lantern slides” Willie Lunn’s lecture was titled: “The prevention of destitution and the failure of the Poor Law.” The pictures showed slum housing and workers in sweatshops. There were scenes of homeless men and women sleeping out in the open on the Thames Embankment in London and being given soup by the Salvation Army. Crowds of the unemployed were shown waiting at the docks and factory gates. Various phases of workhouse life were illustrated especially the grim casual wards where tramps were stripped and washed with cold water before being given hard bread and a thin stew. After their meal they slept in a cold unlit room on boards covered in straw, the conditions were designed as a deterrent to stop them going back. On a brighter note old people over 70 were shown visiting the post office to receive the new 5 shillings a week pension introduced in 1908 by the reforming Liberal government supported by the Labour Party. It was contrasted with images of claimants receiving out-relief from the “often callous and indifferent relieving officers.” Other slides showed how help could be given in a much better way along the lines of the proposals in the Minority Report. On a Sunday evening in March there was a “moderate attendance” for a second lecture. It was given by a speaker from Bradford who asked: “Is Christianity possible under a capitalistic system?” A brief report in the Rothwell Times the following Friday omitted to say if the meeting had come to a conclusion. During this period the biggest impact on the township of Oulton-with-Woodlesford was the opening of Water Haigh colliery owned by the Henry Briggs company. The sinking of two shafts had started in 1908 and after one of them collapsed in 1910, killing 6 men, the pit produced its first coal in 1911. Another new local industry was the Armitage brickworks opened next to the company’s stone quarry off Eshald Lane in about 1907. Both these developments had brought a large influx of workers and their families into the area and despite the construction of Eshald Terrace in the 1890s, and other properties afterwards, there was still a shortage of suitable houses. Built by Armitage’s using their distinctive red bricks Claremont View on Quarry Hill, for instance, was finished in 1912 and nicknamed Titanic Row after the ship which sank the same year. Many of the older houses, built from local stone, were cramped, infested with vermin and with only basic gas and water pipes. Practically all of them had outside toilets, or privies, often shared, which were just holes in the ground covered by a board with a hole in it. Ashes from the kitchen fire were spread on the human waste before it was collected by council workmen and taken to a local dump. Some cottages dated back to the 1780s and the early years of the 19th century. Built as investments by quarry owners many had been sold on to landlords who had no connection with the area and were only interested in collecting the rent. The housing shortage meant that many men who were employed at Water Haigh lived in Hunslet and other parts of Leeds. They got to work by taking the tram to its terminus at the Black Bull in Rothwell before walking the rest of the way. Others walked or cycled from Whitwood and Methley where they’d previously been employed at other Briggs collieries. For those who could afford it their was a “paddy” train in the early morning from Leeds and Hunslet stations. Others came from Normanton and Altofts using reasonably cheap workmen’s tickets. As the housing situation got worse during 1913 the Reverend Arthur Irvin wrote to the Hunslet Rural District Council which was responsible for Oulton-with-Woodlesford township as well as Middleton, Thorpe Stapleton, and Temple Newsam township which covered Halton and Whitkirk. Irvin had previously served as a councillor himself and his letter, read at the council’s November meeting, “pointed out the scarcity of cottages” in Woodlesford. It noted that “private enterprise” had been talking about building projects for two years “but nothing had been done.” At the same meeting Dr. Joseph Buck, the medical officer of health reporting on infectious diseases, said there had been eight cases of scarlet fever and two of diptheria in Oulton and Woodleford during the previous month. This must have angered Thomas Killingbeck and it prompted him to put pen to paper and write to the Rothwell Courier and Times. His eloquent letter is worth quoting in full as it was the first of several such letters which, along with his work on the co-op committee, probably explains why he was able to win support when he decided to stand for the council himself. “Sir, I notice in your report of the meeting of the Hunslet Rural District Council that the Reverend A. J. E. Irvin has drawn the attention of the council to the great need for more houses in the Woodlesford district. I very much regret that they should so far neglect their duty that they decided to allow the matter to drop. There are very few villages in this country where there is a greater need for houses than this district. “The council are continually boasting of their determination to oppose Leeds in their extension scheme, but by their actions they seem to be playing into the hands of Leeds. What stronger argument can the city council have than the failure of our own council to at least attempt to build some suitable cottages in this district. Mr. Hargreaves seems to doubt whether there is a very great demand for houses here, but I can assure him and his colleagues that if they would only do their duty as councillors and take immediate steps to deal with the problem they would soon have a couple of hundred applications from would be tenants for houses. “In South Yorkshire a number of district councils have already taken steps and are erecting a number of suitable cottages for the workers in the mining villages there. If the Hunslet Rural Council are really desirous of looking after the interests of the inhabitants of this district they ought not to hesitate any longer. They have already delayed the question far too long. There is ample opportunity for local councils, both rural and urban, to borrow money for building purposes at a very low rate of interest, and repay the amount over a period of 40 years. The tone of this letter and the research that clearly went into it show that Thomas had thought deeply about the problem. He knew there was government legislation which had made it possible for local councils to buy land for housing and borrow money for construction costs at relatively cheap interest rates. What he was up against was an innate conservatism amongst the district council members. They took their lead from the more well-heeled property owners who would have to pay an increased property tax known as “the rates” – the forerunner of the modern council tax. Whether or not Thomas Killingbeck was also planning to stand for the council himself at this stage is unclear. He may have been on the verge of a campaign but within a few months all local and parliamentary elections had to be put on hold as war was declared in August 1914. Both the original founder of the Independent Labour Party, Keir Hardie, and the current Labour Party leader in the House of Commons, Ramsey Macdonald, were against the war. Macdonald had to resign and was accused of treason and cowardice because of his pacifist stance. It’s not unreasonable to suppose, therefore, that Thomas Killingbeck, as a long standing rank and file member of the ILP, would have been ethically against the fighting. This eventually caused him some political trouble but during the 1914-1918 conflict, and immediately afterwards, it doesn’t appear to have affected his standing in the community. In late 1914 and during 1915 many local men answered Lord Kitchener’s appeals and voluntarily signed up or “attested” for the duration of the war. It was generally believed that the fighting would be over quickly but as it dragged on through 1915 conscription for single men between the ages of 18 and 41 was introduced in January 1916. The following May married men became eligible and the age limit was increased for both groups to 51 in 1918. It’s known that over 200 men from Oulton and Woodlesford eventually served in the army, the navy or the fledging air force. 64 who died are commemorated on the Fleet Lane war memorial and several others are remembered elsewhere. Much later, at the start of the Second World War, Thomas Killingbeck was said to have been a conscientious objector in the Great War but this may not have been entirely accurate. As a pacifist he may, like the ILP leaders, have actively campaigned against the war. On the other hand he may not, and one possibility is that it was around this time he moved to work at Water Haigh colliery. None of his employment records for this period exist but later he worked there as a surface labourer. It’s possible therefore that when he became eligible for conscription, at the age of 34, he was already at the pit and subject to a “general reservation” of men needed to keep coal production going. Intriguingly to do this he would have needed the cooperation of his former neighbour, the pit’s manager and district councillor, Dennis Hargreaves, so despite their political differences it’s possible they were on friendly terms. Even though there was a small exodus of military volunteers in 1915 the housing crisis in Oulton and Woodlesford doesn’t appear to have got any easier. This was because Water Haigh had increased its workforce and more miners wanted to bring their families to live close to the pit. The parish council wrote to the council appealing for action and the miners complained to their union headquarters in Barnsley. In August 1915 this prompted Thomas Killingbeck to write another letter to the local paper and again it’s worth quoting in full, as it demonstrates he was not afraid to take on both his foes on the council and the miners themselves who were still prone to vote for old fashioned Liberal Party men, instead of “progressive” Labour Party candidates. “Sir, I notice in your issue of July 31st that the miners have sent a complaint to the Executive of the Yorkshire Miners’ Association at Barnsley about the exorbitant rents charged to them at Woodlesford and district. One would naturally have thought this would be a most inopportune time to take advantage of the scarcity of houses, when all sections of the community are expected to show their patriotism by making some sacrifice for the benefit of the country. “The miners, in my opinion, are a great deal to blame for the lack of houses in the district, which is the chief reason why greedy property owners have been able to raise the rents to the extent they have. Had the workers of Oulton-with-Woodlesford elected two working men with progressive views who were very anxious and determined to carry out to the utmost the powers of the housing acts, the Hunslet Rural District Council would have been compelled by the Local Government Board to build a number of houses two years ago in this district. “There is practically no limit to the power of the workers if they will only use it in the right direction. Your readers who read the reports you gave when the question of house building at Woodlesford was before the Hunslet Rural District Council will know that it was a statement made by Mr Hargreaves, to the effect that the colliery company were going to build a large number of houses which really prevented the Local Government Board from forcing the hands of the council and compelling them to build a number of working class houses. I should be very sorry to see the district become controlled by the colliery company. We have seen enough of mining village tyranny in Yorkshire in the past. I hope the day is past when during labour disputes, the capitalists have power to turn the workers from their houses. “If a man can borrow money to build houses with, and make a profit on the transaction by letting the houses to the workers, surely the district council can borrow the money which is required, especially when we realise that local authorities can borrow at a far cheaper rate than any private individual can, owing to the security required. The main pressure though came from the Lloyd George’s coalition government. Scared by the prospects of a communist revolution like that in Russia in 1917 it started a series of reforms led by Christoper Addison, the Minister of Reconstruction, who was “charged with overseeing the task of rebuilding the national life on a better and more durable foundation.” One of the reforms was in housing with councils being given more subsidies and greater powers to borrow money for construction at low interest rates. “Homes Fit For Heroes” was one of the newspaper headlines above a report of a famous speech by Lloyd George the day after the war ended. In August 1917 it was decided to go ahead with 100 houses for Oulton-with-Woodlesford. This was part of a town planning exercise which took in 620 acres of the township and some adjoining land which were technically in Methley and Rothwell. With the proximity to Leeds and good rail connections it was thought more industry would be attracted to the area and so provision was made for widening main roads and expanding the water, sewerage, gas and electricity utilities. The plan included proposals for a section of a ring road around Leeds which would have been routed from Rothwell Haigh via Woodlesford to Swillington Bridge. However fears that large factory buildings would be damaged by mining subsidence and the depressed economic conditions in the 1920s and 1930s resulted in only the housing being developed and the southern part of the ring road was never constructed. Two large fields in Woodlesford, numbered 140 and 141 on the Ordnance Survey map, were chosen as the site for the new council houses on streets that would become Green Lea and Holmsley Field Lane. The land had once been part of a large open field which had been jointly worked by local farmers but it had been enclosed and acquired by the Calverley family at the start of the 19th century. Negotiations took place with Horace Walter Calverley’s agent, John Hirst, and the council acquired the land for £2,524. Despite the decision to build it was several years before the houses were finished and occupied. An architect, Ernest Gladstone Allen, was appointed in 1918 but it took throughout 1919 for the plans to be approved by officials at the newly formed Ministry of Health in London with each side blaming the other for the delays. Loans had to be arranged including one from Gloucester Corporation over 80 years and another from the National Union of Railwaymen. In October 1919 a tender for 40 of the Woodlesford houses was accepted from Concrete Buildings Ltd of London but discussions with them were still ongoing in January 1920. They had invented a new building technique using hollow concrete blocks held together with wire. Through his work in the co-operative movement in Woodlesford Thomas Killingbeck had consolidated his position as a political leader. When fuel and food rationing measures were introduced in July 1918 he was appointed as one of six independent members of the local fuel and lighting committee for the Hunslet rural district and in October he joined the food control committee. As a co-operative society member he was probably amongst the one hundred representatives from Labour organisations and women’s guilds which met in January 1918 to select William Lunn as their Labour Party candidate for the newly created Rothwell parliamentary division. It took in not only Rothwell but a large area wrapped round the northern boundary of Wakefield. After a four week campaign immediately after the armistice the election took place on Saturday 14 December 1918. The votes weren’t counted for two weeks, to allow for those from soldiers still abroad to be sent in, but in the early hours of Sunday 29 December, at the Music Saloon in Wakefield, Willie Lunn was declared the winner, the first Labour Party MP to represent Rothwell, Oulton and Woodlesford. Out of an electorate of 33,899 in the constituency, of which 13,301 women over the age of 30 were voting for the first time, he was just two votes short of 10,000. The two other candidates, Coalition Unionist (ie Conservative) Lieutenant-Colonel Henry Christopher Bruce Wilson of Crofton Hall, and Liberal Joshua Harrop Yonge, polled less than 12,000 votes between them. No doubt Labour supporters downed a good few pints celebrating the victory over the next few days at the White Hart pub in Woodlesford. Next door though, at 38 Church Street, the Killingbeck’s celebrations would have been more restrained as they were largely tea drinkers. Buckets of it would have been drunk on Saturday 18 January 1919 when Tom presided over a “ham tea and fraternal gathering” of the Rothwell Labour Party at the council schools on Carlton Lane. As on previous occasions if Thomas spoke his words weren’t reported but those of the Reverend William Spencer of the Rothwell Primitive Methodist Church were: “We, men and women, heartily congratulate our townsman, Mr. William Lunn, on the very splendid victory he obtained in the late election. Notwithstanding the fact that hundreds of voters were not on the register and thousands of soldiers were not able to vote, to obtain a majority of 3,377 was simply delightful. “We are quite satisfied that every reform that is for the general good will be supported by our friend at Westminster, while every evil will find in him a resolute antagonist. We trust that he will find real happiness in his new surroundings, and that his life may long be spared to enjoy the honour his delighted friends and townsmen have placed upon him,” he said. After recitations and songs dancing took place and “a most enjoyable evening” came to a close at 11 p.m. Within a short while there would have been another more modest tea party, as Thomas Killingbeck was elected to the Hunslet Rural District Council in April 1919. The Co-operative Party had been founded in 1917 and he probably stood as their candidate. Later he was described as a Co-operative and Labour Party councillor indicating the close relationship that developed between the two parties. Re-elected as the other member for the Oulton-with-Woodlesford township was his boss, Dennis Hargreaves, who stood as an Independent. It raises the possibility that they both travelled from Water Haigh together to meetings at the council’s office on Leak Street in Hunslet in Dennis’s car, one of the few on the roads at that time! There were five candidates for the two seats. The local paper only gives the name of Burnett for one of them and this is believed to be Herbert Burnett, a plumber who lived in the house adjoining the Oulton Institute. Miner William Hoult, standing as an Independent, was also unsuccessful. The other was Frank Ferrett, a clerk at Woodlesford station. He had been vice-president of the Rothwell constituency campaign to elect William Lunn. Along with Frank Barlow Burnley, another clerk at the station, he was a founder of the Oulton and Woodlesford branch of the Labour Party which was formed in about 1920. It’s not clear if Thomas joined with them or preferred to remain slightly separate standing under the Co-operative Party banner. They met regularly at the working men’s club in Highfield House opposite Woodlesford school. Thomas Killingbeck attended his first council meeting on Thursday 1 May 1919. He would have been aware of the formalities of conducting business and well known to the other councillors through his membership of the fuel and food rationing committees. Re-elected chairman was Thomas Thomas, a farmer and justice of the peace who represented Middleton. Philip Saltmarshe Marsden, land agent for the Temple Newsam estate was vice-chairman. Glass merchant Thomas Bennett represented Halton and of course Dennis Hargreaves was the other member for the Oulton-With-Woodlefsord township which had by far the largest population. Farmer John Flanagan had represented Thorpe Stapleton township for 6 years but he had resigned and nobody had stood in his place. Much of the day to day work of the council was conducted by paid officials and they also took part in the meetings. The clerk in charge was Walter Bawden Pindar, assisted by the surveyor, Mr. Nuttall, and the inspector of nuisances, Percy Craven Higgins from Oulton. Also in attendance was the recently appointed architect and Dr. Buck, the part-time medical officer who’d been in the post since 1892 as well as conducting a private practice based in Rothwell. 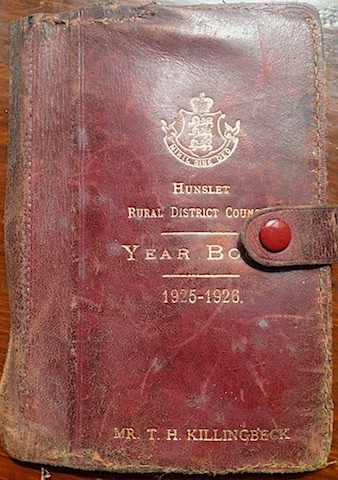 A leather bound Hunslet council yearbook. As well as joining the rest of the council on the dairies and cowsheds committee, Thomas Killingbeck was appointed to several others including those looking after the Lemonroyd sewage works and the Haigh Road cemetery which were run jointly with Rothwell Urban District Council. He was also selected for the isolation hospital, fire brigade, old age and war pensions committees. Additionally he had responsibilities for administering the Poor Law as a member of the Hunslet Board of Guardians. There was a great deal of opposition to these expansion plans in the semi-rural areas surrounding the city mainly coming from land and property owners, including colliery companies, who feared having to pay higher rates and gain little in return. Up until 1919 Hunslet Rural District Council had resisted having Middleton taken away but at Thomas Killingbeck’s first meeting they changed their minds and voted in favour. It was incorporated into Leeds the following April and as a result a vast council estate was built which by the mid-1930s had over 2,300 houses. In fact it was his support of subsequent attempts to take Stourton, then Temple Newsam, Whitkirk and Halton, and even Oulton, Woodlesford and the whole of the Rothwell district into Leeds that marked Thomas out from his fellow councillors. No doubt bringing his experience of the Leeds Industrial Co-operative Society into play, his main argument seems to have been absorption into Leeds would bring greater benefits to his working class voters. Utilities like gas and water, as well as the tramways, were municipally owned and an economy of scale would make them cheaper for the bulk of his constituents. Outside the Leeds “county borough” the situation was complicated by the fact that as well as the rural and district councils, from 1889 the West Riding County Council had strategic control of a number of services including main roads, police stations, asylums and the licensing of places of entertainment. From 1902, under new legislation, it had taken over education replacing the locally elected school boards. Therefore when Leeds proposed an extension a tug of war developed between the city and the county, based in Wakefield, with the electorate and the rural and district councils caught in the middle. During 1922 Stourton was on the Leeds shopping list. Historically it had been administered by the Rothwell council but its industries, like the copper works and tar distillery along with the railway workshops and marshalling yards, made it an attractive proposition. There was also a sizeable residential population living in terraced streets in the triangle between the Wakefield and Pontefract roads. Sir Charles Wilson mounted a vigorous campaign to win over the Stourton ratepayers and Thomas Killingbeck was there to support him at a crowded meeting in the St. Andrew’s Institute on Thursday 16 February 1922. Wilson said the main opposition came from the Charlesworth colliery company and promised a new library in one of the schools and cheaper water and gas supplies. Another speaker joked that Leeds would be a better bet as he had gone by mistake to the centre of Rothwell and couldn’t find his way because the streets were unlit. Thomas chipped in with a resolution criticising the West Riding County Council for “squandering” money on legal fees fighting the scheme. The 300 residents were won over and voted 280 to 20 in favour of joining Leeds but in the end Willie Lunn stayed loyal to the council he’d served on for 18 years and persuaded the House of Commons to exclude Stourton from being taken over. Through the hard times of the twenties and thirties Thomas Killingbeck continued in public service whilst still continuing to work at Water Haigh colliery where, at least in the early years, he was employed to stoke the boilers that drove the steam powered winding engines. To enable him to take part in council and co-op committees he was probably, with the agreement of the management, on a permanent morning shift starting at about 6 a.m.
After putting down his shovel in the early afternoon he would have to get changed and turn his attention to the details of civic life. The pay wouldn’t have been great and there may have been lengthy periods, including during the six month 1926 strike, when he was unemployed or only working a few days a week. Politically he would have been supported by the members of the Yorkshire Miners’ Association at the pit and he would have been friends with checkweighman Bill Hemingway, a Leeds Labour councillor who became Lord Mayor in 1934. A ceremonial key given to Thomas Killingbeck when he opened the Rothwell Haigh co-op store. In 1923 Thomas Killingbeck was elected to be a director on the board of management of the Leeds Industrial Co-operative Society. In that capacity he opened a new store at Rothwell Haigh in January 1924 and in March 1925 laid the foundation stone for a boot and drapery store which formed an extension to the Woodlesford co-op. Although he didn’t serve continuously he was on the board for a total of 15 years, standing and being re-elected again in 1932, 1939 and 1945. He held the record for the highest number of votes cast in his co-op district and was never defeated in any election in which he stood. Thomas Killingbeck was at the Cheltenham meeting but was in a minority on the Leeds board of directors as he agreed with the national decision. He continued to stand as a “political” candidate and his stance doesn’t seem to have done him much harm amongst the co-op electorate. In August 1933 for instance, under the headline “No Politics, Thanks!” the Leeds Mercury reported that he was the only successful “political” candidate out of seven who had stood for positions as directors or for positions on the education committee. Without any of his speeches it’s impossible to say whether that makes him a moderate or a local politician who was able to command the loyalty of his working class electorate, perhaps a bit of both. As a councillor and a co-op director one of Thomas Killingbeck’s duties was to attend funerals. In 1929 whilst he was vice-chairman of the Hunslet council he was at the burial of the former clerk, W. B. Pindar, who’d been awarded an O.B.E. for his work a year earlier. In 1935 he represented the Leeds co-op at a service for Sam Taylor, the first Labour mayor of Barnsley in 1920. Pinned on the public noticeboards and pushed through letterboxes in Oulton and Woodlesford in November 1923 were the election leaflets of Willie Lunn. He’d been re-elected in 1922 when the Conservatives, under Bonar Law, took power from the Liberals. This new election in less than two years was because Bonar Law had died and the new Tory leader, Stanley Baldwin, wanted a mandate for his policies which included tough trade tariffs to protect the domestic economy. The plan backfired and although the Conservatives won 258 seats in the election on 6 December, Labour jumped to 191 and the Liberals recovered to 158. Baldwin tried to stay in office but the Liberals joined Labour in voting against the King’s Speech causing his government to fall. As the largest opposition party Labour were offered their first chance to govern, under Prime Minister Ramsey Macdonald, and they managed to stay in office, with the support of the Liberals from January to October 1923 when they lost a vote of no confidence. Out of 58 ministers Willie Lunn became the Secretary for Overseas Trade. 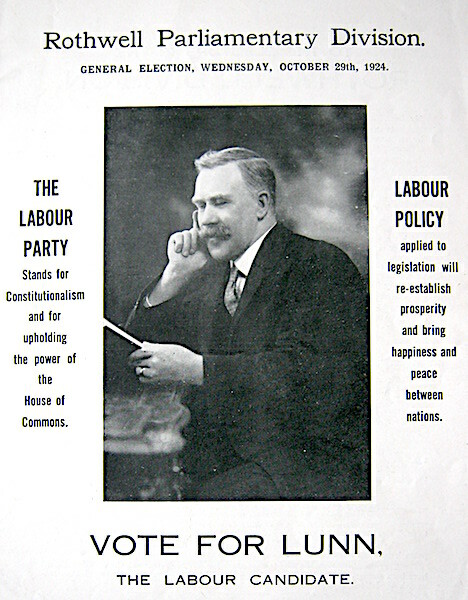 William Lunn’s election leaflet for the election in October 1924. The Conservatives under Stanley Baldwin won a large majority but Lunn retained his seat and the Labour Party established itself as the main opposition ahead of the Liberals. Change was slow though and at one meeting in January 1926 Councillor Killingbeck complained about the conditions of one Woodlesford family he knew. Eight people were sleeping in the kitchen of a private rented house where the sink had been blocked for up to three months. 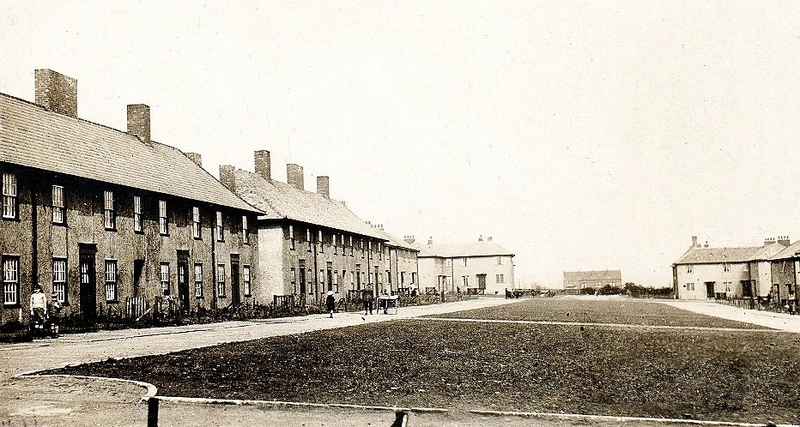 The sanitary inspector, Percy Higgins, said the building had been condemned and as soon as the tenants could get other accommodation they would leave. He promised to do something about the sink. In 1928 Leeds finally won its “land grab” for the Temple Newsam township. This left Oulton-with-Woodlesford as the only area administered by the Hunslet rural council. As a result the number of local councillors was increased from two to five and an election was held on Saturday 31 March. The Wakefield Express reported that interest was “at fever heat” during the campaign in which the Labour Party put up four candidates standing on a manifesto that the township should also join Leeds. This appears to have been roundly rejected by the 79 per cent of the electorate who voted as Thomas Killingbeck was the only one of the four to win a seat. The unsuccessful Labour candidates were railway platelayer Reader Free, miner Harry Grant, and Henry Woodcock, a commercial traveller. Underlining the rejection was the fact that Thomas Killingbeck came third in the poll. He therefore lost his chance to sit on the Board of Guardians, which had been moved to Wakefield since a reorganisation in 1925, as only the top two in the poll joined that body. In total there were fourteen candidates. The other four elected to the council, all standing as Independents, were Dennis Hargreaves, William Henry Newsome who’d served for three years as a councillor previously, architect Walter Pelham Peters, and miner Bill Hoult who’d been a parish councillor for 18 years. The remaining losers were the Oulton vicar, William Ewart Worsley, garage owner Harry Brook, solicitor’s clerk Walter Smith, printer’s cashier Thomas Henry Myton, retired postmaster Thomas Arthur Coope, and John Edward Robinson, a cloth factory presser. 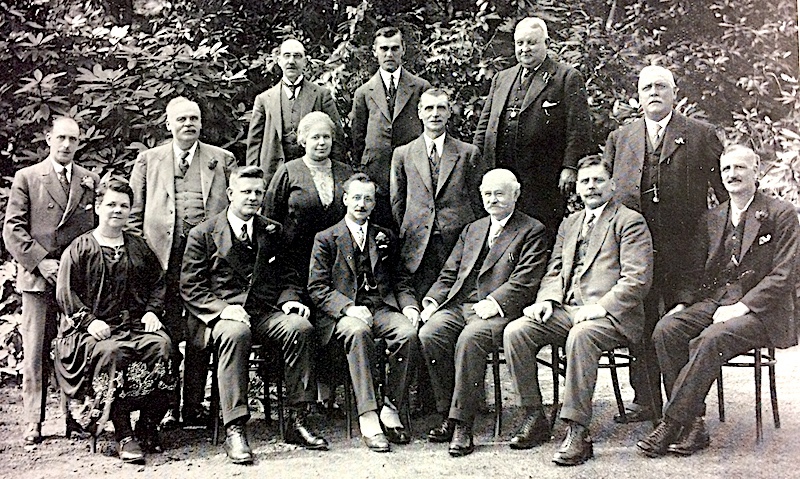 T. H. Killingbeck is seated on the far right of this group of directors and officials of the Leeds Industrial Co-operative Society in 1927. An insight into Thomas Killingbeck’s family life at 38 Church Street comes from the memories of his youngest son, Harry. Compiled by one of Harry’s granddaughters for a school project about the Rothwell area, it paints a domestic picture similar to that of other working class families between the wars, but, apart from a photograph of Thomas as a councillor, Harry had no recollections of his political work. Harry, who was nicknamed Toll, probably because his was tall and lanky like his father, could remember his first days at Woodlesford school just round the corner where he started as an infant when he was three years old. On his second day he went on his own but when he got there he couldn’t open the door so he ran home crying and told his dad that they had shut the door on him. He thought the school was full and they didn’t want him anymore. “It was really strict. If you even whispered you would get the cane,” he said. At home everybody had their own jobs like dusting or washing. For breakfast they had porridge and for dinner, at about midday, the regular fare was meat and vegetables, meat and potato pies or stew and dumplings. For tea after school they had jam or dripping on bread and for supper they had a cup of cocoa or a biscuit. The family dog was called Raff. With five older brothers Harry mainly wore handed down clothes. If his parents could afford it he would get a new Sunday best suit at Whitsuntide. He didn’t go on a proper holiday until his honeymoon when he was 24 years old! The best he could remember as a boy was an overnight excursion by train to Scarborough, trips across Leeds to Roundhay Park and “hospital” Sundays when fund raising galas where held for the infirmary in Leeds. In the 1920s Sarah Jane and Thomas Killingbeck’s older sons, who started work when they were 14, would have had to contribute to the family budget. The oldest, Ben, never married and was a road labourer for the council. He was still living at home in 1939. George Henry was a printer’s labourer when he married in 1931 and at first lived with his family in a house on the opposite side of Church Street to his parents. By 1939 he was working at a soap works and had moved to Hunslet Carr with his wife and her brother, a labourer at the copper works. His daughter and son stayed with their grandparents at Church Street during the Second World War, probably to finish their schooling at Woodlesford and keep them safe from the German bombers attacking the Leeds factories. In 1934 Ivor, who was a joiner, had also moved away after marrying a miner’s daughter from Halton. Harry Killingbeck started an apprenticeship as a motor mechanic when he left school in 1937. During the war he became a Bevin Boy at a local colliery and then served in the army, navy and airforce. After the war he trained as a railway policeman and worked at Leeds Central and City stations. 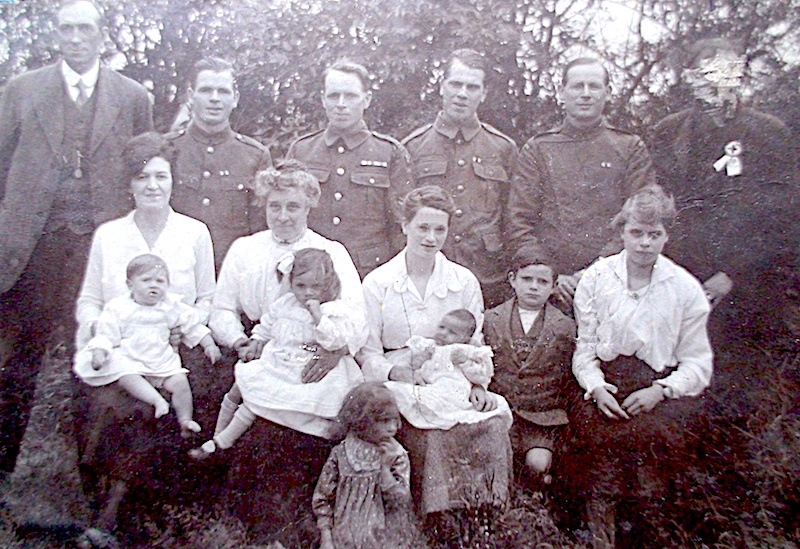 Of the Killingbeck’s remaining children Eric became a joiner’s apprentice before joining the navy; Harold was a lorry driver and married in 1944; Edna was unmarried; and Bessie was a clerk at Bray’s gas mantle factory in Sheepscar before she married in 1940 and went to live in Goldthorpe with her husband. This photograph was taken in Woodlesford near the Applegarth railway bridge towards the end of the 1930s. 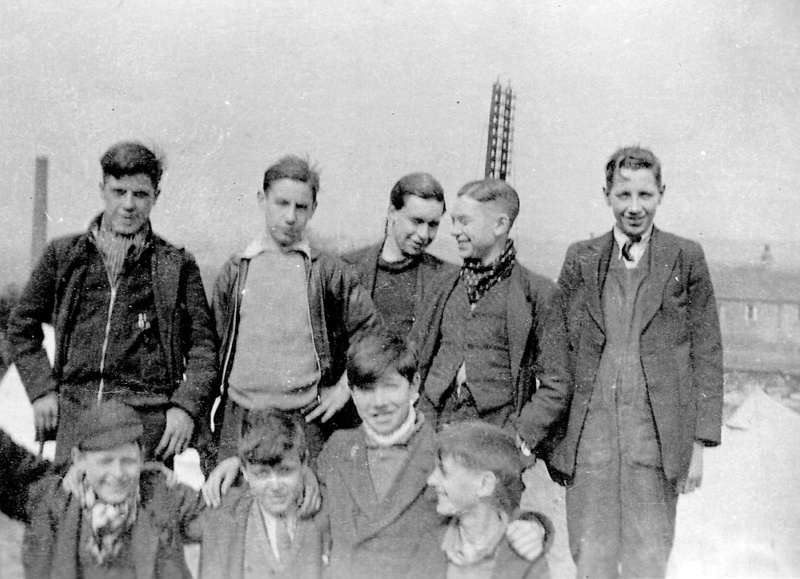 Harry Killingbeck, nicknamed Toll, is the tallest lad on the right of the back row. The name of the boy on the far left is unknown. Next to him is Joe Bainbridge followed by Norman Cockerham and Ernest Wilkinson. The boys on the front row, from left to right are believed to be Marshall Read, Ken Crowther, Ken Jubb and Brian Flockton. As a result of a review of local government in the West Riding in the mid-1930s it was decided to amalgamate the Hunslet council, along with that of Methley, and form a larger Rothwell Urban District Council with a population of about 27,000, one of the largest authorities of its kind in the country. 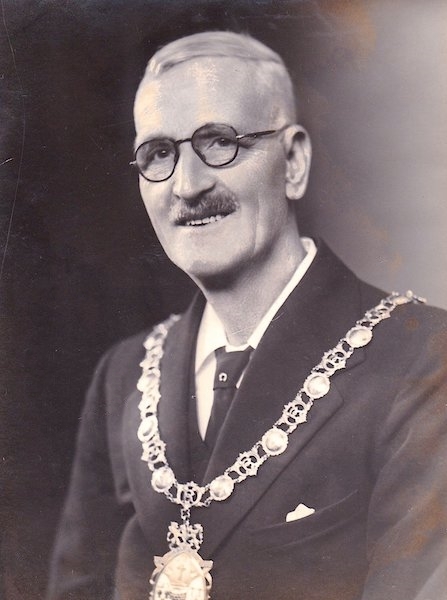 The changes came into force on 1 April 1937 and reflecting his standing in the community Thomas Killingbeck was elected by the 27 councillors as their first chairman. As the holder of that office he was awarded a King George VI coronation medal. Much of the council’s work was routine with long debates on apparently mundane matters. For instance at one of his first meetings Thomas Killingbeck chaired a discussion on when it would be appropriate to open the new eastern section of Rothwell park as the grass and shrubbery had not yet had time to grow. Of more important matters unemployment was a major problem. In the summer of 1937 there were 230 men out of work in the former Rothwell area, 50 in Oulton and Woodlesford and 150 in Methley and Mickletown. Some of them hadn’t worked at all since 1931. In cooperation with the Castleford and Rothwell employment exchange the council were able to offer month long periods of employment to small groups of these men, mainly on road work. Housing was by far the biggest of the council’s responsibilities. Up to then they had built about 500 houses including 302 on 40 acres which were occupied in early 1920s about the same time as the Hunslet council’s Woodlesford scheme. Men employed at J. & J. Charlesworth’s pits had been given priority for tenancies as the company had donated three quarters of the land. Just before the amalgamation tenders had been put out for 40 new houses, associated street works, and water and sewage mains on an extended Green Lea. The enlarged Rothwell council became responsible for this new scheme and allocated many tenants from Woodlesford’s condemned housing when the work was finished in 1939. Two curious incidents a few months after the start of the Second World War, both resulting in court cases, appear to have cast a shadow over the final years of Thomas Killingbeck’s years in public service. At a meeting in May 1940 he was elected by colleagues as a member of the council’s war emergency committee. A fellow councillor, Gladstone Simpson, a railway engine driver and senior air raid warden who lived on Northfield Avenue in Robin Hood, proposed a motion objecting to the appointment. He said Killingbeck had been a pacifist and conscientious objector during the last war and claimed he was a member of the Peace Pledge Union, established in 1934, which argued for a negotiated peace with Nazi Germany. All this came out in a magistrate’s court hearing on Tuesday 11 June which was reported under the headline “Undignified Show” in the Yorkshire Evening Post the same afternoon. According to Simpson’s lawyer, Thomas Killingbeck had said in the council chamber that he should be treated “with utter contempt in every move he made.” As they were leaving Simpson told Killingbeck that he was going to try get him removed from the Leeds co-op board. Thomas was then alleged to have hit him violently on his ear knocking him down three steps of the staircase. Simpson was going to retaliate when he realised that Killingbeck was much older than him. Another member of the council, Ralph Chilton, said he had witnessed what happened. In his defence Thomas denied he was a pacifist or a member of the Peace Pledge Union. He said he was 100 per cent in favour of a successful conclusion to the war. In the debate in the council chamber he denied he had said that Simpson should be treated with contempt. Instead he had used the proper procedure and criticised the motion itself saying it should be treated with the “contempt it deserved.” He said that Simpson had grabbed him by the collar and he had hit him with the flat of his hand, but not violently. The chairman of the bench, Brooke Pickard, took a dim view of all this and described it as “a very undignified show for the council.” He fined Thomas £2 and £1 costs but defiantly he said he didn’t intend to pay. He was told he would have to pay or go to prison and was given a month to pay the fine at 10 shillings a week which he appears to have accepted. The feud with Gladstone Simpson didn’t stop there though and both men were involved in another tussle, this time during an education sub-committee meeting a year later on 16 July 1941. Again Thomas Killingbeck was accused of assault with the case heard by the same magistrate on 2 September. A lengthy report in the Wakefield Express described a dispute over the election of a new chairman of the committee. Simpson was standing against the previous year’s chairman, William Henry Turner, a Rothwell rhubarb grower. The vote was tied and under the rules the clerk, Percy Beaumont, declared Turner as chairman. An unofficial recount was then held which went in Simpson’s favour and he protested that he should become the chairman, but the clerk stuck to his ruling. Simpson’s evidence was that Thomas Killingbeck had got up and tried to hit him but he missed. Two other councillors then grabbed hold of Thomas and pulled him back. William Edward Moorhouse said he saw Killingbeck make a swinging blow “with a vicious look on his face.” Henry Jackson said he thought he’d lost his temper and acted on a sudden impulse. Acting for Thomas Killingbeck was Alf Masser, a Leeds solicitor and Conservative alderman, well known for his role in the creation of Leeds United football club in 1919. He called Percy Beaumont who said Thomas Killingbeck got up and was waving his hands in the air muttering something, but didn’t get within striking distance of Simspon. Similar accounts were given by William Henry Turner and Lydia Cook, both justices of the peace. Cook said Simpson had a “satanic” look on his face. In his defence Thomas Killingbeck said he had appealed to Simpson to accept the clerk’s ruling. When he got up he was trying to ask W. H. Turner to take the chair but because he had rheumatism he had caught his knee and stumbled. He put his hand out to try and save himself from falling. He was not near enough to strike a blow and he had no ill-feeling against Simpson. This didn’t convince Brooke Pickard who was reminded of the previous year’s case. He said the incident was “not in the best interests of local government” and this time fined Thomas £5 plus £2. 2 shillings costs. “This is the second occasion I have been unfortunate to try a case against you, and I am sorry that you appear not to be able to control your feelings or your temper. Either master your feelings or be out of local government,” he said. Whatever the truth of the two incidents neither Thomas or Gladstone Simpson appear to have lost any support. Simpson was elected the chairman of the council the following year and Thomas continued as a councillor and as a director of the co-op. Following the death of William Lunn in May 1942 they both spoke in his memory at a council meeting. 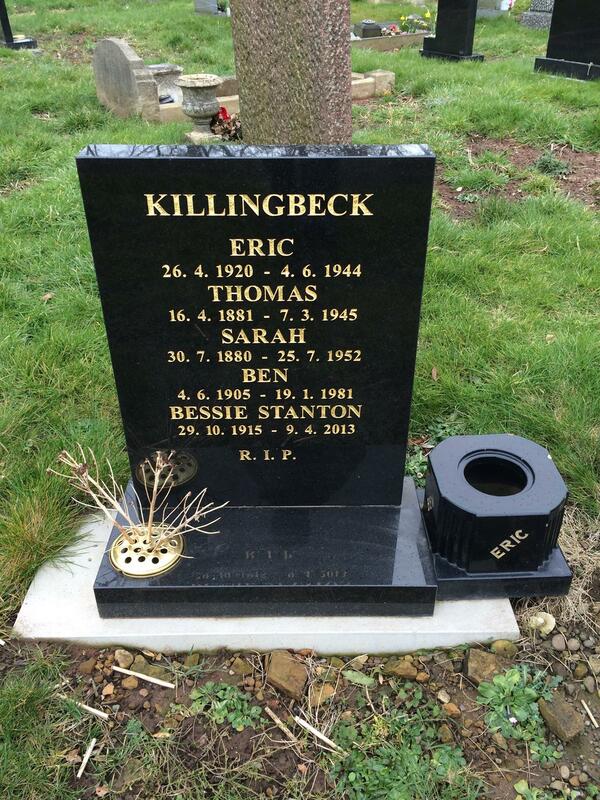 Sadly for the family Eric Killingbeck died in June 1944. He was only 24 and had just been appointed a sub-lieutenant in the Special Branch of the Royal Naval Volunteer Reserve. His death was registered locally so he may have been home on leave when he died. Thomas Henry Killingbeck died suddenly on Wednesday 7 March 1945, coincidentally on the twentieth anniversary of the day he laid the foundation stone for the extension to Woodlesford co-op. He was a month short of his 64th birthday. Just a few weeks before he’d been re-elected in a postal ballot as a co-op director. There were obituaries in several newspapers. “Prominently identified with the Labour Party, he was a fearless critic and profounded the socialist doctrine with vigour,” said one. Another report said he’d only ever missed one meeting of the co-op board and that was the Tuesday before he died. “It was his pride that his purchases from the society since 1925 were a record, amounting to £6,226 and dividend £550,” it was claimed. After a service at the Woodlesford Methodist chapel the following Monday, where the address was given by Rothwell councillor James Meshezabeel Tasker, Thomas was buried in the Haigh Road cemetery. His death came two months before the end of the war in Europe and just four months before the general election which would sweep Clem Atlee’s Labour government into power. Many of the reforms they brought in, especially the creation of the National Health Service in 1948, would not have come about if it hadn’t been for the grassroots work, beliefs, guts and determination of Thomas Henry Killingbeck and the men, and women, of his generation. The Killingbeck grave in Rothwell Haigh cemetery.